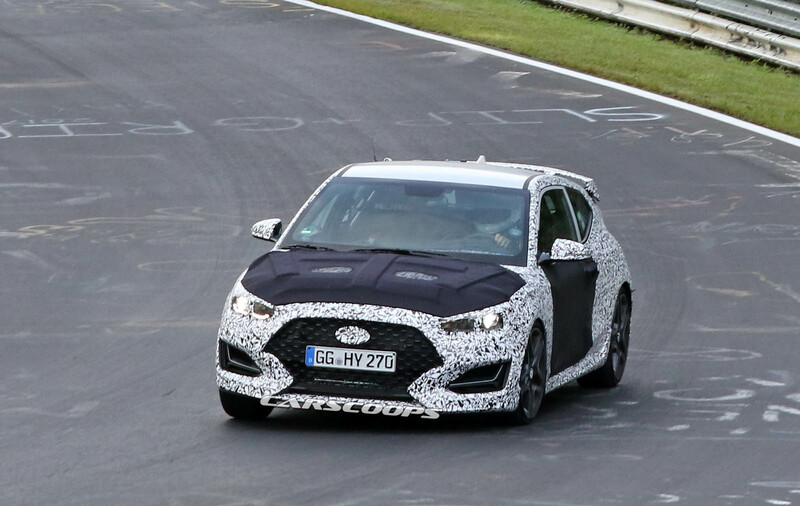 Hyundai’s going all-in with its new N range of performance models – and the i30 won’t be the only one to get the go-fast treatment. 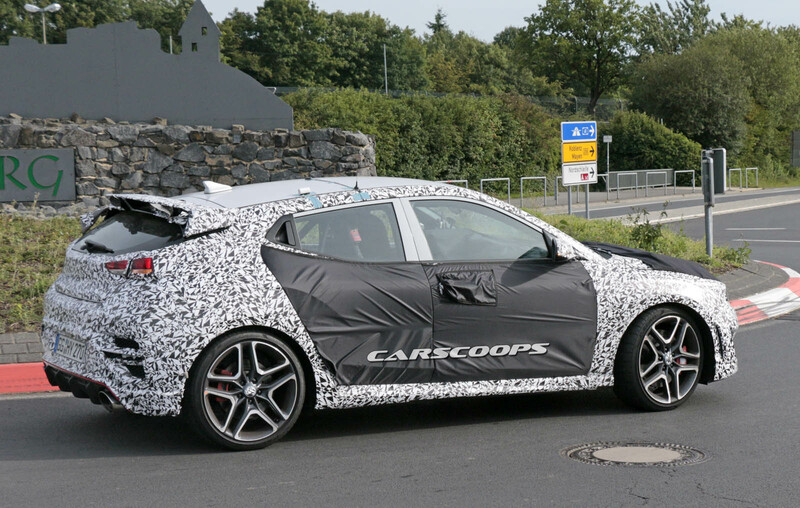 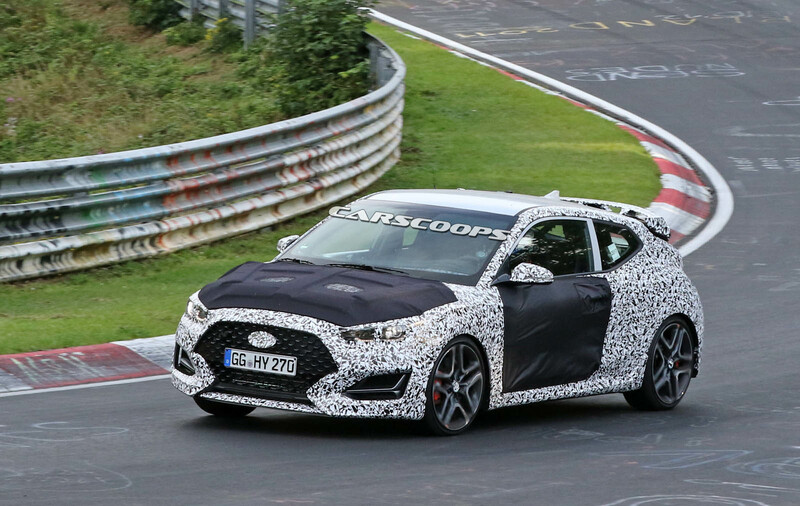 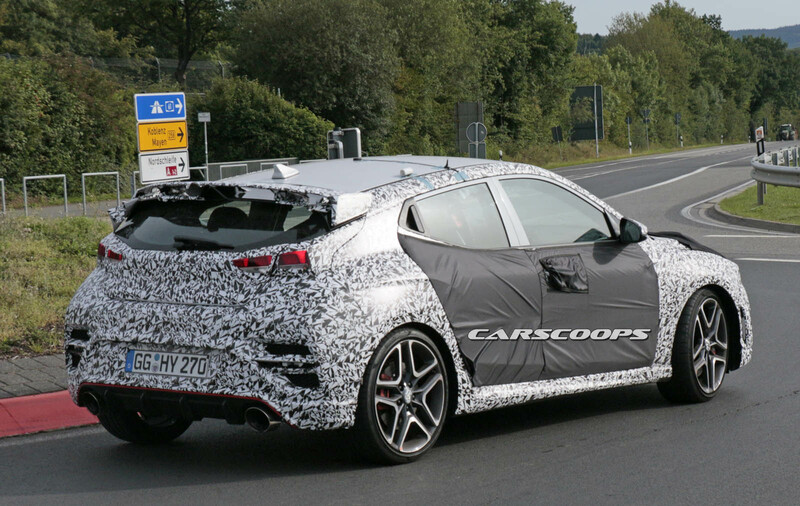 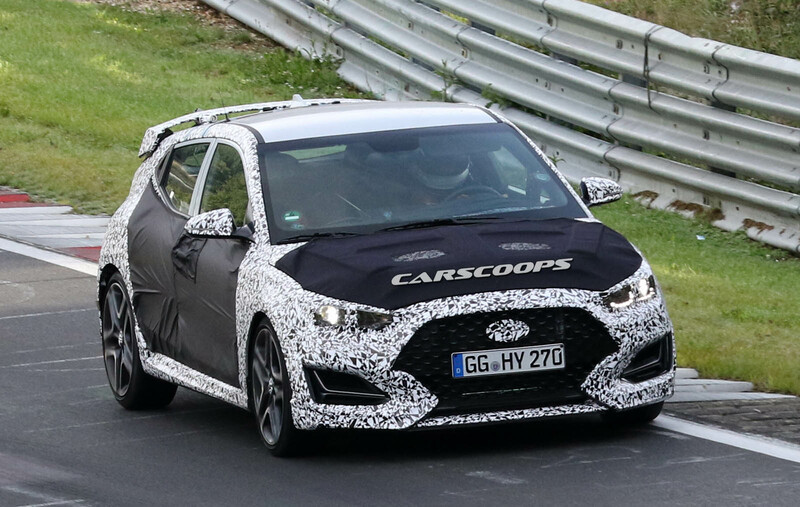 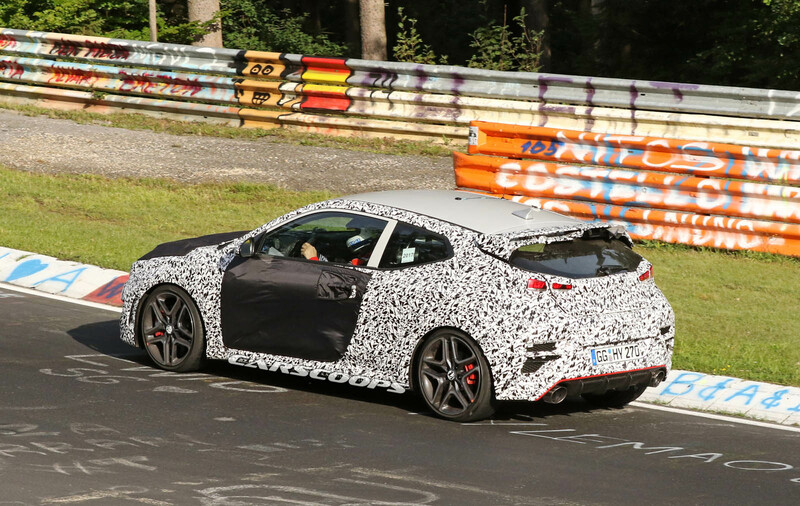 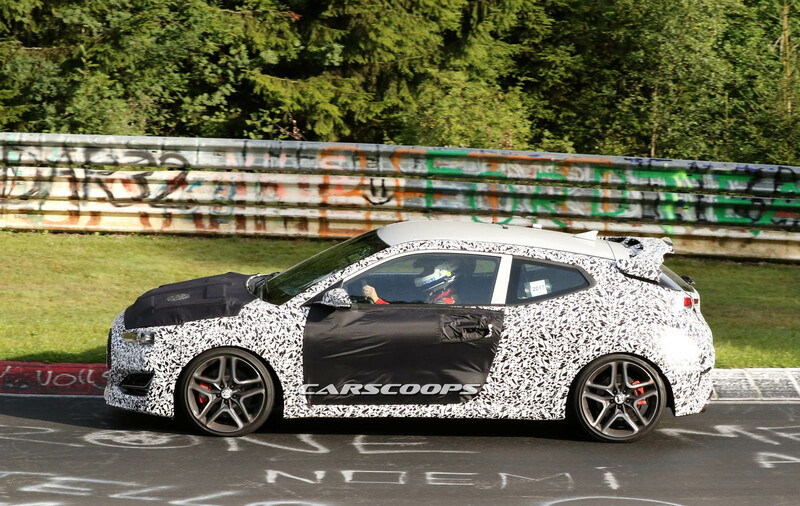 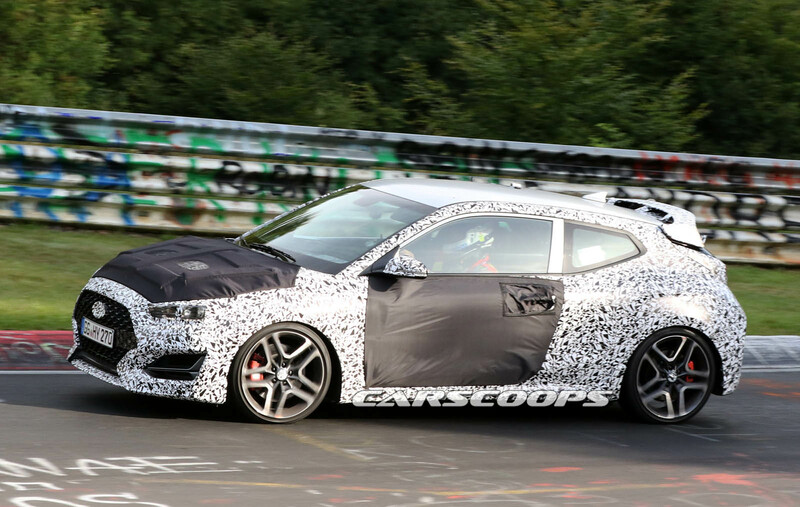 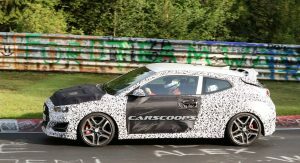 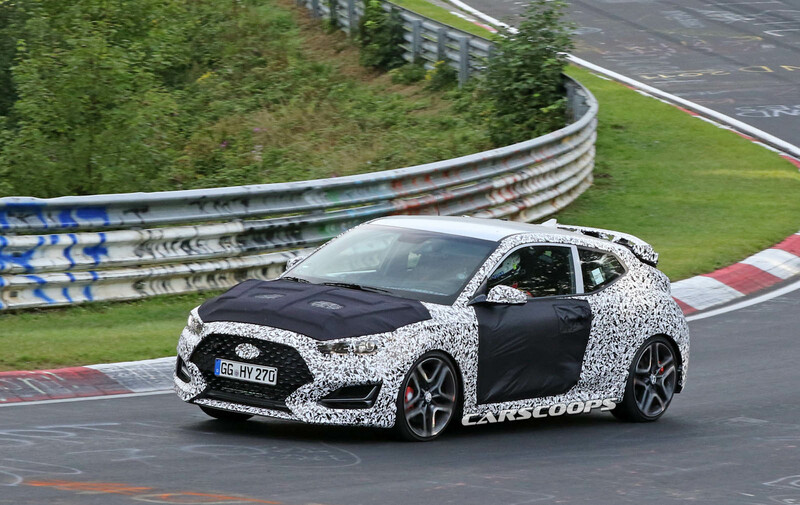 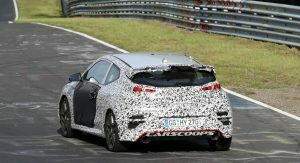 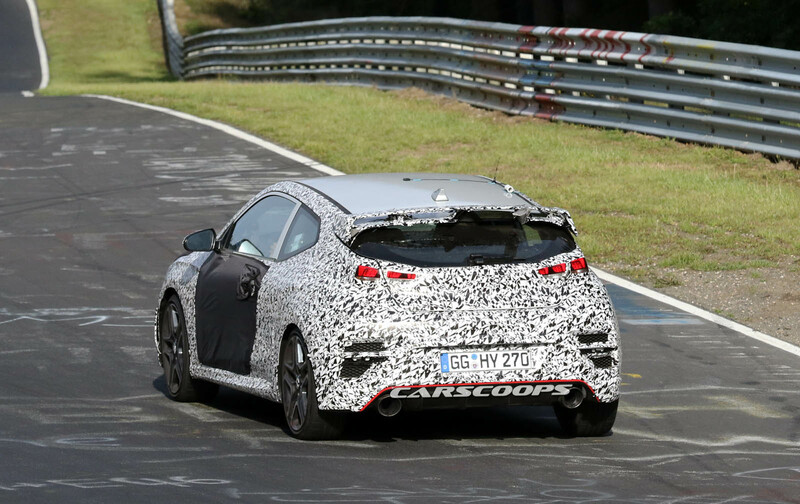 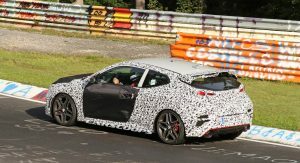 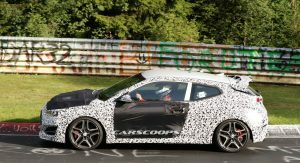 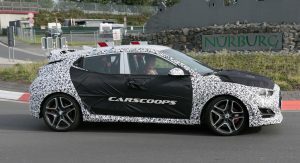 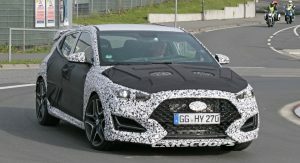 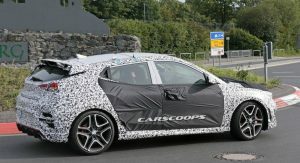 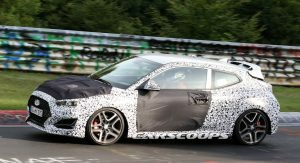 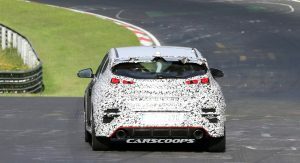 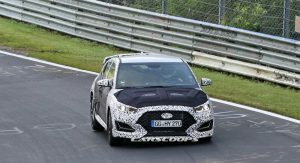 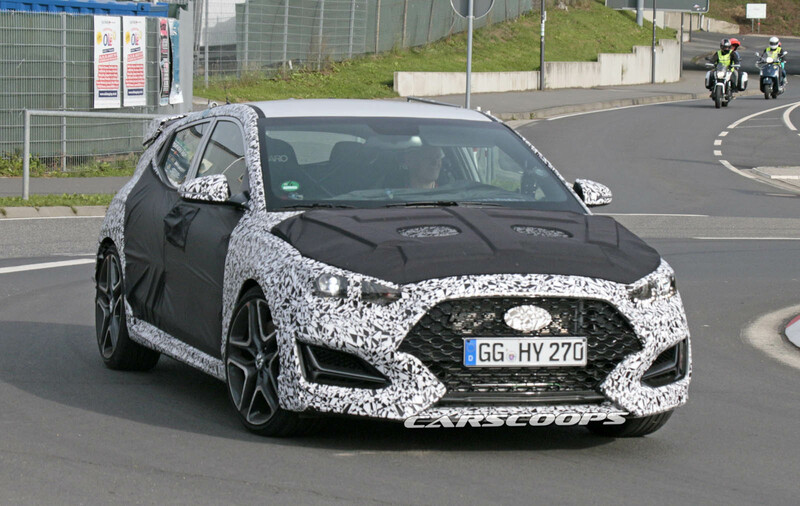 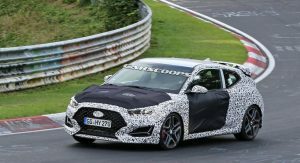 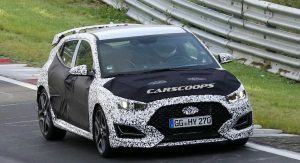 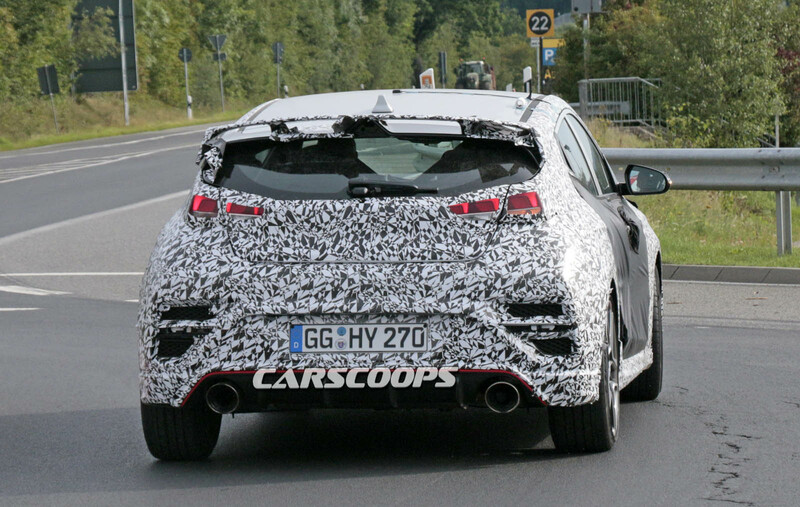 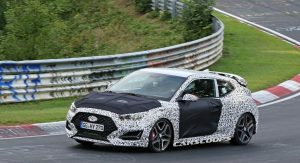 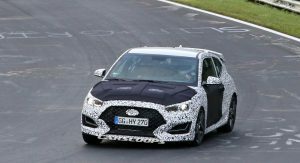 We know that much because we’ve seen prototypes for an apparent Veloster N undergoing testing, and now we’re seeing it again – with less camo. 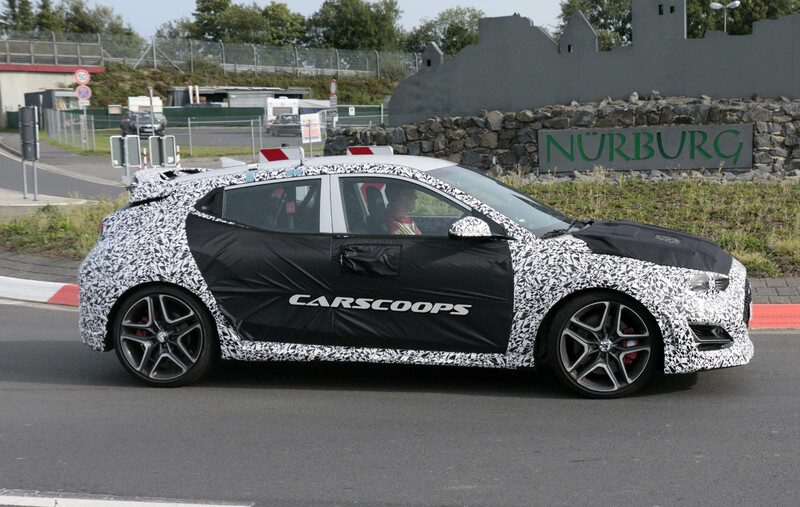 Though still hidden from our prying eyes with the usual shape-disguising body wrap, much of the heavier black cladding that disguised the prototypes until now has been removed from the vehicle spotted by the automotive paparazzi at CarPix. 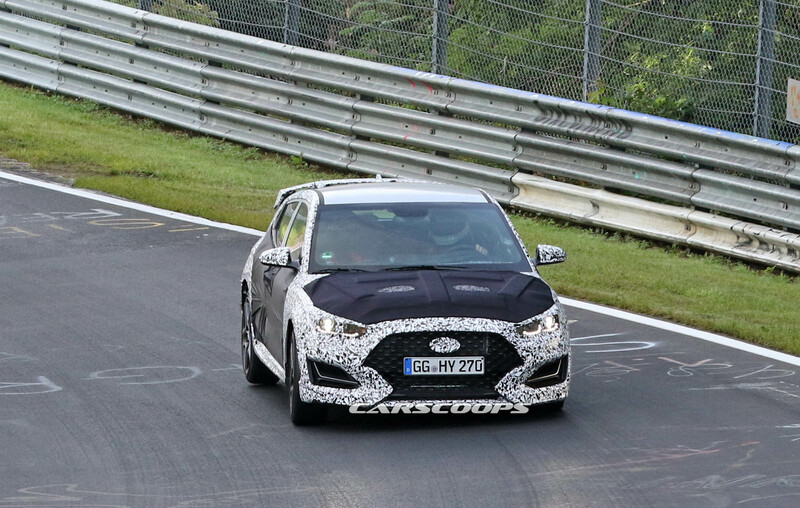 What we can see as a result are all manner of hi-po goodies: a front splitter, big rear wing, underbody diffuser, dual exhaust tips, bigger wheels… it even looks like it has a roll cage inside, though that could be just for testing. 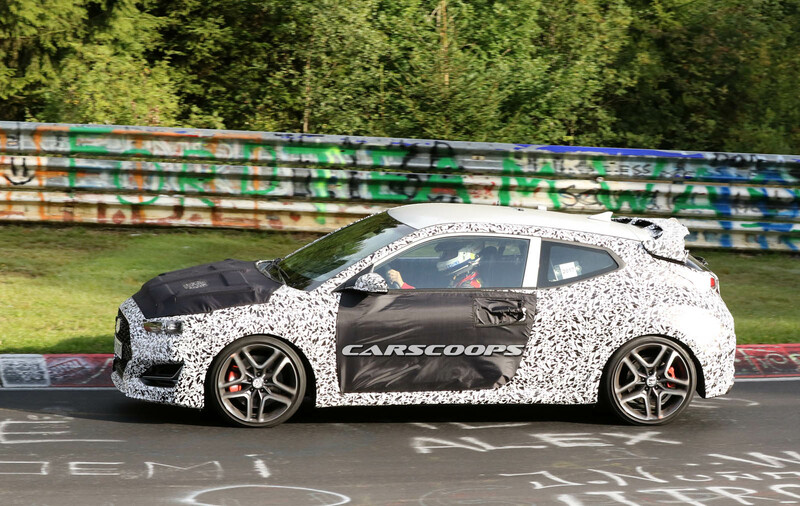 The bigger question, of course, is what lies underneath that vented hood. 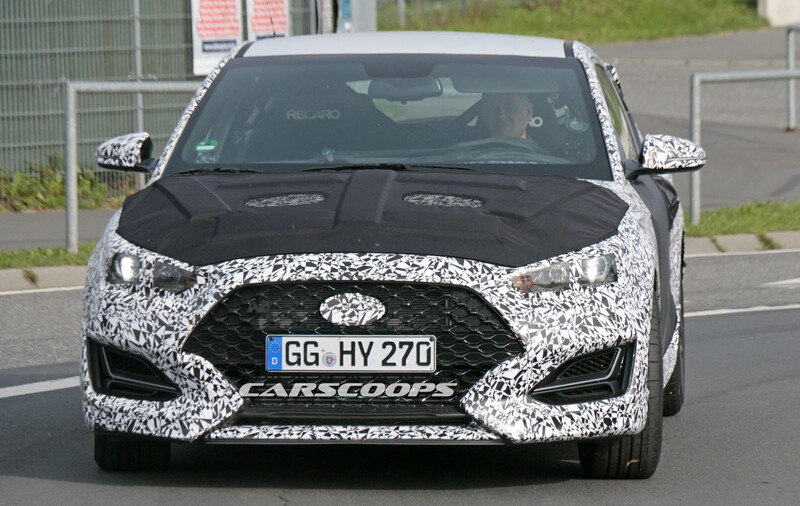 As it is, the Veloster packs a 1.6-liter inline-four, producing either 132 horsepower in standard guise or 201 in the Turbo. 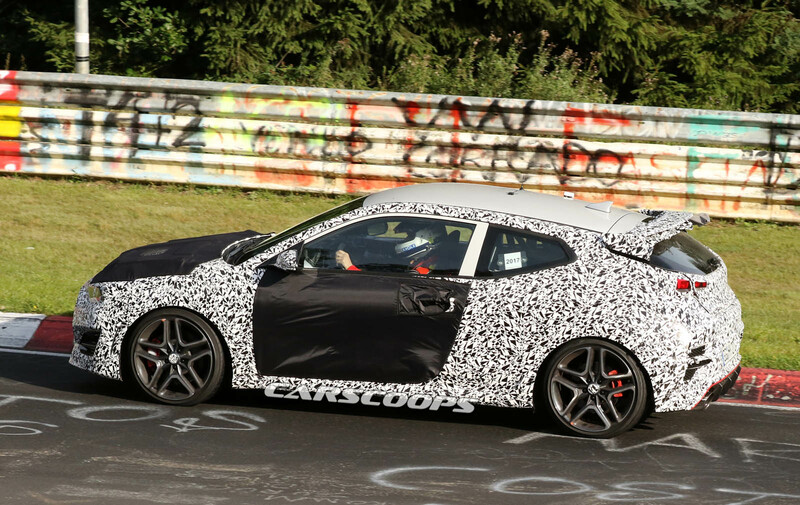 The i30 N meanwhile dials things up to 246 hp, or 271 with the optional Performance Package. 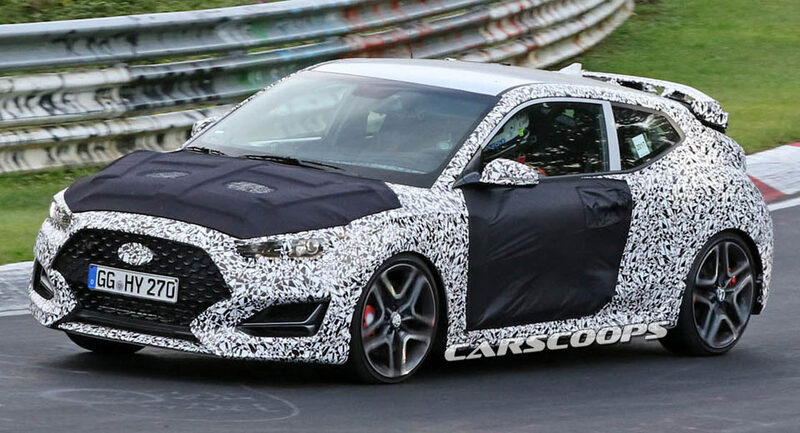 If Hyundai’s as serious as it appears to be, the Veloster N could up those figures to about 300 horses – or, at least, so we hope. 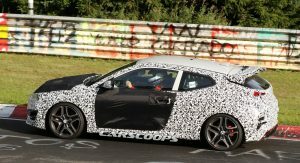 I’m getting psyched to see the final version. 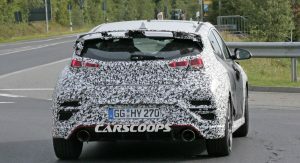 The details are starting to show and it’s looking pretty cool. 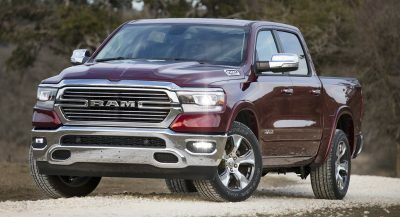 Looks less weird than the current one model which has sold poorly. 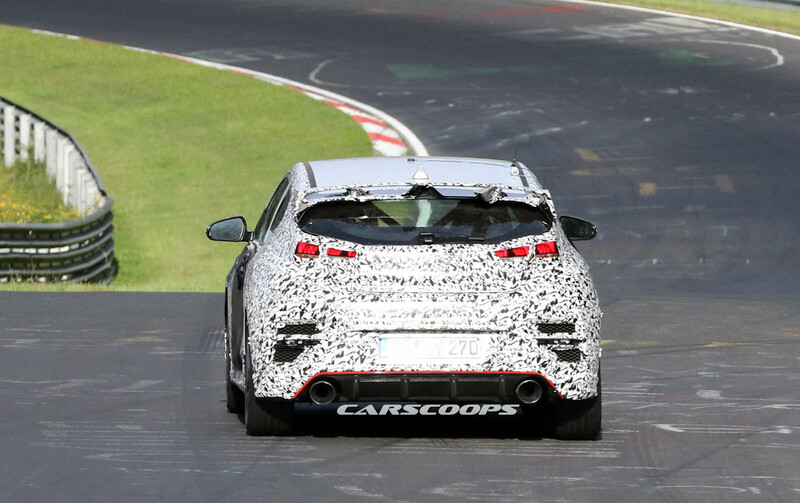 More like the Scirocco and Megane Coupe. 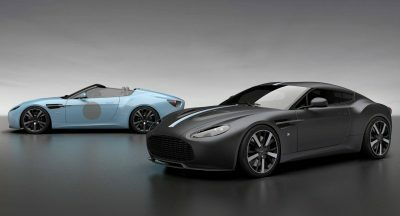 I agree, I feel like they’ve sharpened, the design from what little we can see. 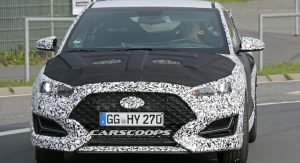 As far as sales, the last time I checked Good Gar Bad Car’s sales figures, they moved about 30k Velosters annually in the US alone. 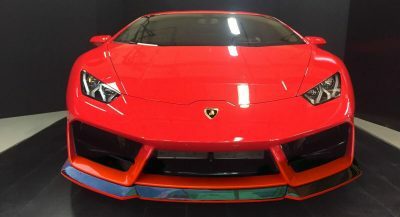 I don’t know their margins, but that doesn’t seem too bad. 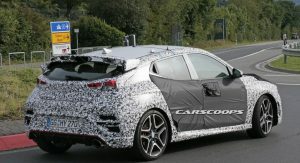 Looks good and so much better looking than the current version which has a rear end that looks like a goofy face.